We want to hear about your experience at Gelormini's Auto Repair. My colleagues referred me to Mike Gelormini. The appointment process was seamless. Mike promised to have my car by lunchtime, and he delivered on his commitment. He did an oil change, changed light bulbs, and cleaned the dust out the engine. His service was A+. I will be bringing back my cars for future services. If you are trying to find the place, enter the driveway from Passaic Street between the stores Colonial Appliance and Investors Bank. I got my state inspection done today. They charged me $75. I recently moved my driver license to the State and I checked Yelp for a good recommendation for auto shop. I found Gelormini Auto Repair shop here at New Providence. I called and Mike picked up. He told me there're hundreds of shops near me who can do the state inspection. That's not a typical feedback I usually hear. That's why I feel I found a good shop. I need to drive 15 miles to Gelormini. The word was done within half an hour. At the time I was there, the credit card machine was down and I didn't have cash with me. So I walked across street to ATM. That I felt a little frustrated. But I saw him trying to call and fix the machine problem when I came back, I felt satisfied. Above all, I recommend Gelormini. That's why I give them my 5-star rating. And I will come back to do business with them again. Thank you. A hidden gem located in New Providence, NJ, tucked away behind the Village Shopping Plaza. 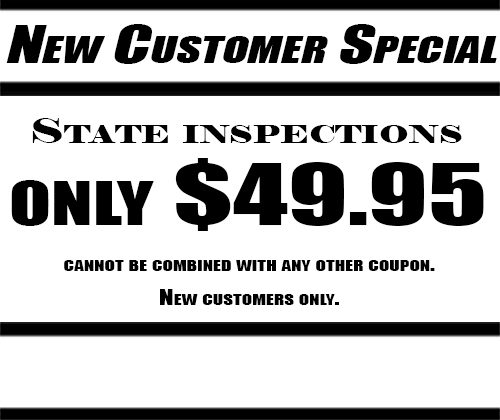 Mike and his staff are always friendly, informationiive and knowledgeable about the cars that they service. I have been doing business with Mike for 12 years and am never disappointed with the service. Your car is in good hands with Gelormini. Our 16 year old van just turned 200,000 miles. Couldn't have done it without the TLC from Gelormini's Automotive Service! I am a long time customer of Gelormini Auto because I appreciate Mike's honest decision making and being involved in the decision. I like to be an educated consumer and Mike gives me the customer service that I would not get somewhere else. To demonstrate, Mike was very gracious when I needed help with my Electric Car Conversion project. He extended his knowledge and was key in completing the project. After disappointing experiences with other local mechanics, I began using Gelormini Auto several years ago. I have always been 100% satisfied. Mike and his staff are conscientious, honest and reliable. Work is top quality, and repairs are done right the first time. If you believe in making informed, intelligent investments in your automobile maintenance and repair, go to Gelormini first! HIGHLY RECOMMENDED!!! Fantastic customer service and extremely skilled technicians. As I read the reviews below, you will always be able to find somebody cheaper or find somebody who will tell you what you want to hear, but you will NOT find a more trust worthy and honest shop anywhere in our area. HIGHLY RECOMMENDED!!! Very friendly staff, and helped me in every way, bought a used car off AutoWorld and was a pile of junk but they pointed out what was necessary to get the car running smoothly. Good job on inspection, just was a little pricey but overall very good! I have owned several (much) older cars over the past decade, and Gelormini's has kept me on the road with all of them. One of my sedans was so old some parts were impossible to find and several parts had to be customized to keep me road worthy. Also, Gelormini's has helped me by suggesting preventive procedures and advised against doing unnecessary work in order to save money in the long run. 1. The fact that the technician came in on Sunday, his day off, to finish up my repairs, so that I could start my vacation as planned! 2. The bright orange sticker affixed to my completed repair order stating, "If you are not completely satisfied for any reason with the services that have been performed on your vehicle, please contact me, Mike Gelormini, on my cell phone. Your satisfaction is my #1 concern." Just knowing that this very personal connection directly to Mike was available made his concern sincere and genuine to me. Even better was the fact that I had no reason to make use of the phone number! I used to worry about sending my car to the mechanics before I met Mike, but now I know it will be done right the first time; I will not let anyone else work on my car! I have been a customer of Mike Gelormini and Gelormini's Auto Repair for well over 15 years. During those 15 years, mechanics have come and gone, prices have changed, and the economy has gone from extremely prosperous, to extremely volatile. What has NEVER changed is the consistent, caring and professional service that this garage delivers every single time. I must say, that I don't know anything about cars; I am the typical man that needs the car to start in the morning, perform all day and not give me any trouble. The guys at Gelormini's are well aware of my lack of knowledge; however, I trust their input and direction implicitly. I absolutely, positively know that I will never be taken advantage of and that the work will be performed with the utmost care and delivered when promised at a reasonable and fair price. Who can ask for anything more these days? Through the years, I have recommended friends, family, and neighbors to Gelormini's and ALL have responded the same way. They simply say thank you, because they too are now being treated with the same professionalism and courtesy that I have become accustomed to, the simple things that still matter so much in life. Thank you so much for your excellent customer service. You took the time out of your busy day to accommodate us and we really appreciate it! Thank you so much and we hope to use your shop again. I've been going to Gelormini's for many years, and have always been highly satisfied with the quality of service Mike and his team provide. My cars are always fixed right the first time and are ready when promised. Gelormini's eliminates the frustration and guesswork I've experienced at other mechanics! Mike and his staff are proactive and have kept my cars running great, and have never recommended an unneeded repair. My 15 year-old Toyota remains reliable due to the knowledge and service Mike and his staff have provided. There's no reason to take your cars anywhere else!